There comes a time when you have to re-evaluate your lifestyle. This can be for many reasons, but for most, the primary reason a downsize occurs is need-related. Americans tend to overpay for things and services. At a certain age, those things stop being important, and lifestyle and health become pivotal factors, especially in the Seattle Market. When people think about downsizing to condo living, independent living communities or assisted living communities, they are not “giving up” what they have but rather breaking free of financial burdens associated with things or services that are no longer needed. The truth is, a lot of people could benefit from downsizing. The benefits from living smaller can be good for people of many different ages and backgrounds. With the kids out of the house, most empty nesters don’t need the space they used to. In addition to saving money, reducing yardwork and home maintenance task are also big advantages for empty nesters. Moving to a smaller space with smaller monthly costs can help put more money towards retirement. 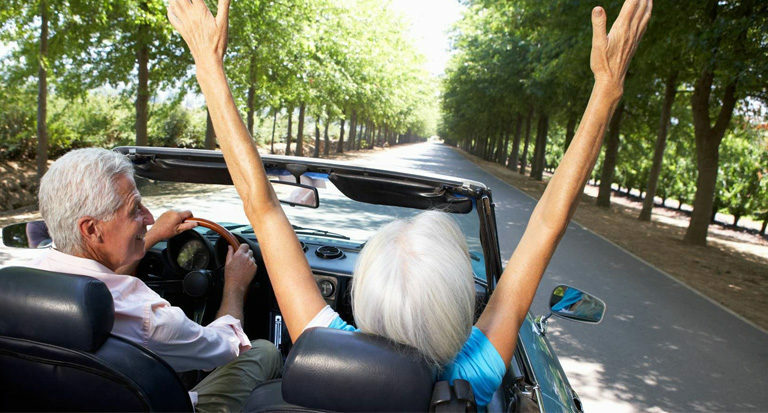 If you downsize before you retire, you may even be able to retire sooner! Most students are on a tight budget. They often study, work, and intern which leaves little time and money for housing needs. Keeping housing costs as low as possible is a huge help. The beginning of your career is an opportune time to save money. By living below your means, you can put money towards a wedding, a house downpayment, or other future plans. Maintaining a large home (and a large mortgage) can put a lot of stress on your mind and body. You may have to work long hours during the week to pay the mortgage, and then spend the weekends on projects around the house. When do you get a break? Downsizing offers a chance at lower costs and lower maintenance work, which can reduce your stress levels. When your housing costs are lower, interesting things can happen for your finances. Suddenly, the money that used to go to housing costs is now available to you. What would you do with some extra money? You could pay off debt, Fund your retirement, build your savings, invest in the market, take a dream vacation, or whatever you want. When you downsize, you may find yourself having more energy. Not only do you spend less energy on housework, but you’ve gained more energy from doing something new and exciting. Plus, with the weight of expensive housing costs lifted from your shoulders, you may notice a little spring in your step. Less house maintenance work means more free time. What will you do with yours? You could spend more time on your hobbies or passion projects. You could enjoy more time with your family and friends. Or you could simply enjoy more time to yourself. Moving is stressful in any capacity. Getting rid of things to move into a smaller space creates an extra challenge. The best thing you can do is take it slow. You don’t need to tackle the whole house in one weekend. Think in terms of months and break the project down into smaller pieces. You can go room by room, closet by closet, and drawer by drawer. Just remember to pace yourself. When going through your belongings, it’s important to be realistic in deciding what to keep. When was the last time you used it? Does it bring you pleasure or joy? Are you holding onto it out of obligation or fear? Focus on the essential items and let the rest go. Keep – Items you want to take with you to your new place. Sell – Items you will sell online or at a garage sale. Donate – Items you will donate to charity. Dispose – Items you will throw away or recycle (if applicable). Store – Items you want to keep, but don’t have room for. Take a good hard look at what you actually need in terms of living space. You may not need the four-bedroom house you raised your kids in anymore, but that doesn’t mean you have to live in a micro-studio apartment either. Think about the lifestyle you want to have moving forward and plan accordingly.